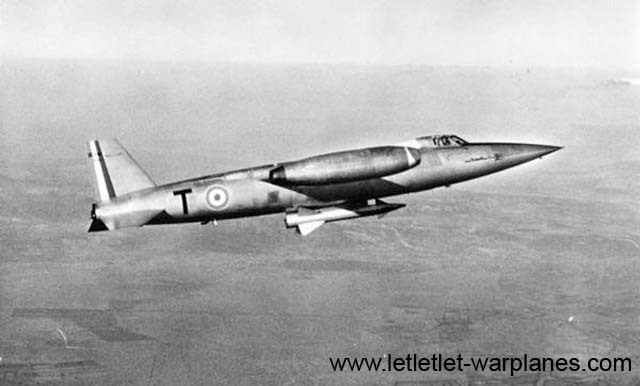 The period 1950-1960 was an extremely interesting period for French jet fighter development. 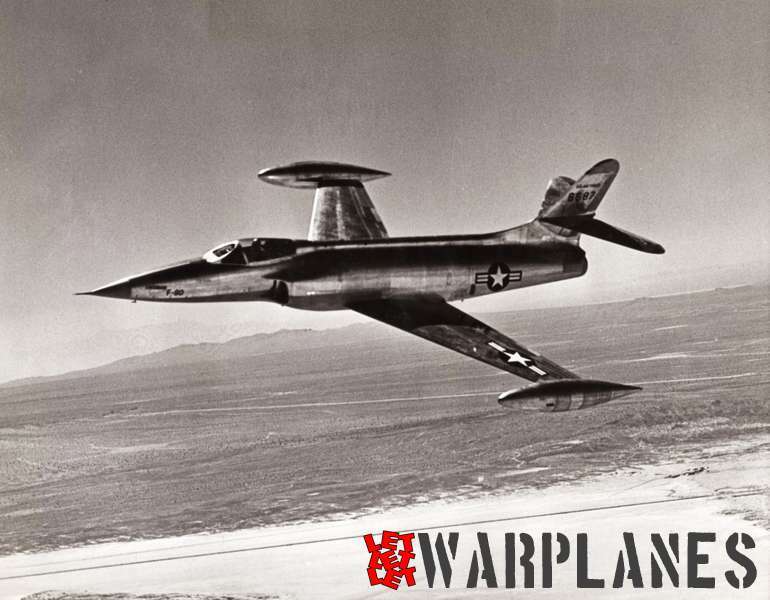 With jet fighters in production that could barely exceed the speed of sound in a dive like the Dassault Mystère, it was also the period that saw the birth of a new generation of radical fighter designs capable of reaching twice the speed of sound. In this period, French jet fighter development played a major contribution with a number of very exotic fighters with mixed propulsion. Finally, only the Dassault Mirage III proved to be a lasting success. Although it was designed with a rocket engine in the tail for interception missions and although this rocket engine could be routinely fitted on the operational machines, it was never used on a large scale! 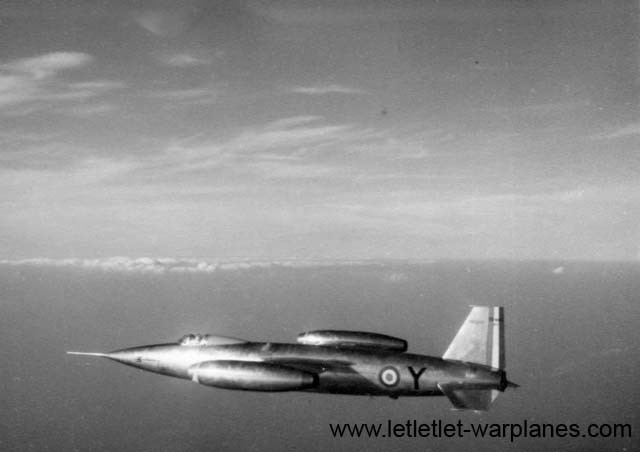 Here is the story of one of the mixed-propulsion fighter projects that was less successful……..
One of the most spectacular designs from the earlyfifties was undoubtedly that of the Trident rocket-powered interceptor. 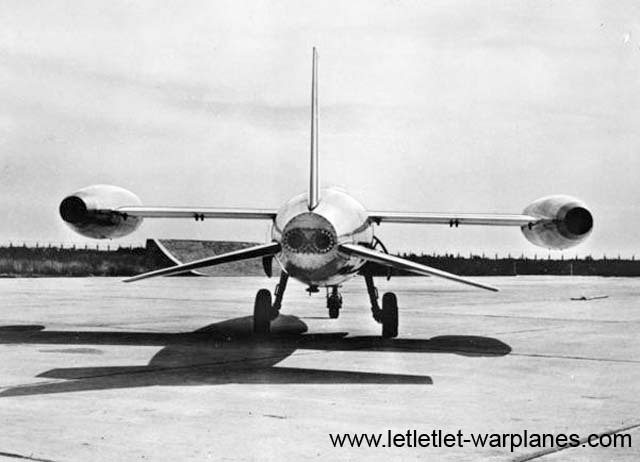 With the German Me-163 and Bachem Natter as typical examples how NOT to design a rocket plane, the Sud-Ouest designer Lucien Servanty came up with a rocket fighter that could at least start, cruise and land on a pair of auxiliary jet engines. Servanty’s design showed a long bullet-shaped fuselage with a cruciform tail plane and thin straight broad-chord wings. On each wing tip a light jet engine was fitted. Aerodynamically this was a quite favourable position, but constructively the wing had to be exceptionally strong to withstand the forces during flight. In particular torsion and flexibility problems had to be solved. The fuselage housed a rocket engine with three rocket chambers at the extreme tail end. The rocket engine was built by a specialized company called Société d’Etude de la Propulsion par Reaction, abbreviated to S.E.P.R.. As propellants, it used two fuel types: nitric acid and ‘Furaline’ , a mixture of 45% furfurylalcohol, 45% xylidene (dimethylaminobenzene) and 10% methanol. Although the nitric acid in particular was a very aggressive liquid, the two propellants were in fact quite stable materials. Designated as SO-9000 and named Trident, the Sud Ouest ‘ateliers’ constructed two flying prototypes of the new interceptor. 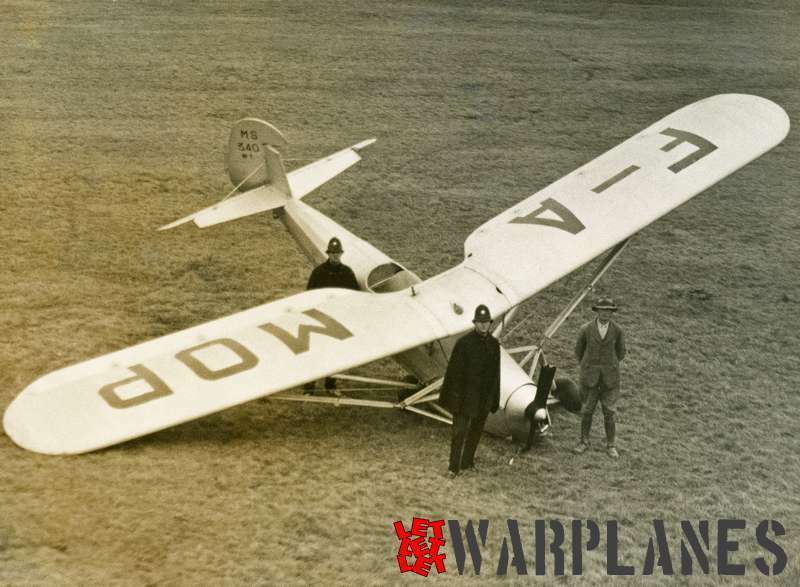 They received the civil registrations for experimental aircraft F-ZWRY and F-ZWSG, but these were in fact not carried on the planes. In a simple bare metal colour scheme with French national markings on fuselage and wings, only the last letters ‘Y’ and ‘G’ were painted on the rear fuselage. Another remarkable detail of the Trident was its pilot escape system. In fact, the whole nose section could be separated in flight in an emergency case giving the pilot the opportunity to use his parachute. In fact, it was a similar system as used by the Douglas D-558-1 Skystreak experimental jet plane! Also the control system was far from conventional. The three tail planes were of the all-moving types; also the vertical tail plane. For low speed cruising the wings were fitted with normal ailerons. However, at higher Mach numbers they could be locked where roll control was taken over by the all-moving horizontal (slightly drooping!) tail plane which were of the elevon type (combining aileron and elevator control). 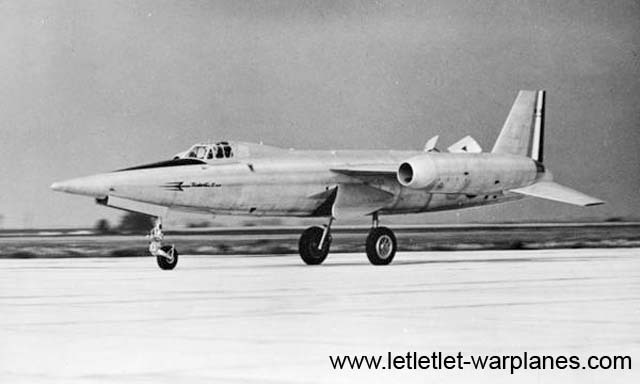 The first SO-9000 made its first flight on 2 March 1953 with test pilot Jaques Guignard at the controls. 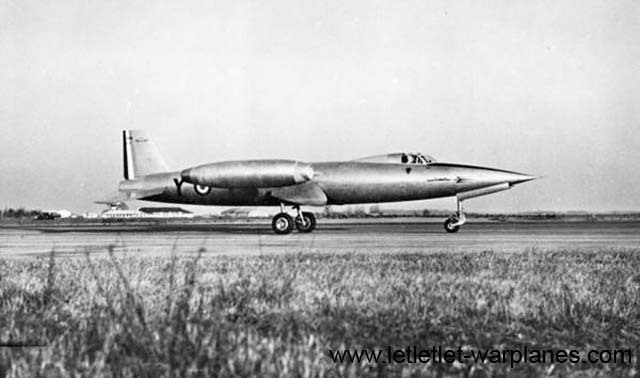 At this time the rocket engine was not yet fitted and although it was underpowered with the two tip-mounted Turbomeca Marboré jet engines it became airborne using the 1550 m airstrip at Melun-Villaroche. In June of the same year it was demonstrated to the public at the Paris Airshow. The second SO-9000, with registration F-ZWSG or ‘G’, made its first flight on 1 September 1953. It was flown by Guignard, but it gained at take off insufficient height and hit an electricity pylon. It crashed on the ground and during the impact the front fuselage section with the pilot became separated of the rest of the plane. Guignard survived the crash, although he was badly injured. Test pilot Charles Goujon replaced him during further test flights with the first prototype. The remaining Trident was re-engined with two licence-built Armstrong Siddeley Viper jet engines of almost double thrust. Goujon resumed test flying on 16 January 1954. 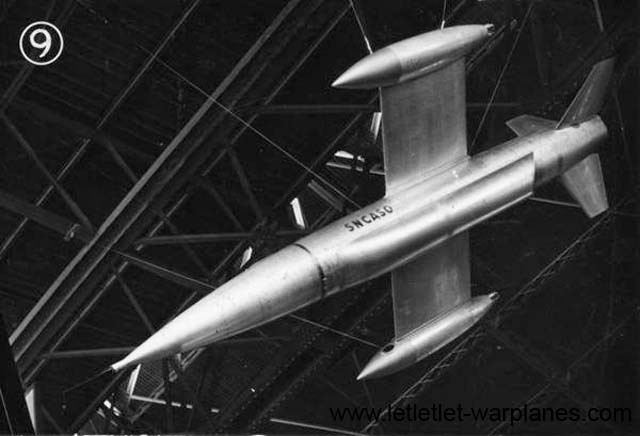 The first flight with the 3-chambered SEPR 481 rocket engine was made on 4 September 1954. Over the next two years more than a hundred flights were made with the SO-9000. At full thrust a top speed of Mach 1.55 was reached and an altitude of 15,850 m. Without the rocket power available, the SO-9000 was capable of exceeding Mach 1 in a shallow dive. After the flight program was terminated end 1955, it was finally retired in December 1956. At present, it is part of the aircraft collection of the Musée de l’Air at Le Bourget where it still can be seen in the museum’s jet plane hall. Based on the SO-9000 the Sud Ouest works produceda number of an operational version under the designation SO-9050 and the appropriate name Trident II. When compared with the original SO-9000 it was designed for much higher speeds. It featured a new SEPR 631 two-chambered rocket engine giving 3000 kg total thrust. The detachable nose section of the SO-9000 was not used; instead an ejector seat was fitted. It also had much longer undercarriage legs to give sufficient ground clearance for air-to-air missiles under the fuselage. Also the nose probe was deleted on the SO-9050. At the wing tips two Turboméca Gabizo jet engines of 1100 kg thrust were fitted, although earlier machines were still fitter with the Viper engines. 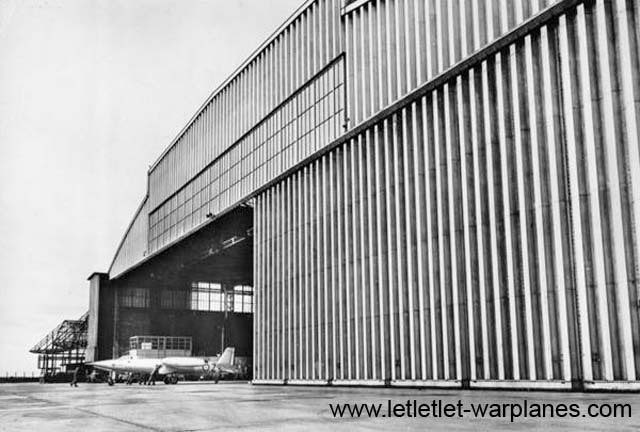 The Sud Ouest ‘ateliers’ produced a total of seven Trident II’s with another two almost completed and 4 others in various stages of construction when the program was cancelled in favour of the Mirage III. Main reason for cancellation was that the plane had a much too low flight endurance to be practical. At rocket power, sustained supersonic flight time was only some four minutes! All Trident II’s were eventually scrapped! ·SO-9050.01 F-ZWTT (“T”). First flight was made on 19 July 1955 with the first rocket powered flight made on 21 December 1955. This plane exploded in mid-air on 21 May 1957 killing test pilot Charles Goujon. ·SO-9050.02 F-ZWTY (“Y”). 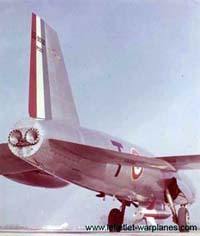 Made its first flight on 4 December 1955 (4 January 1956 according to other sources). Three days later it suffered from a flame out on both engines after it had started from Istres. 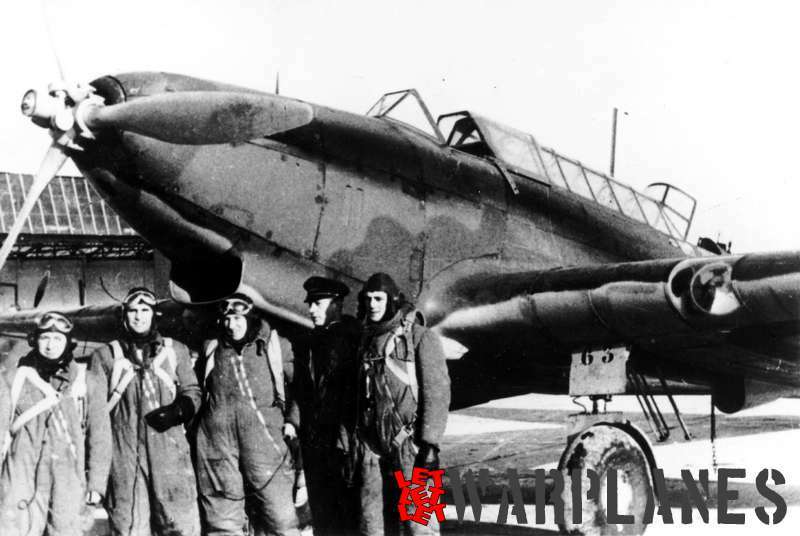 It was damaged beyond repair, although test pilot Guignard was only slightly injured. ·SO-9050.03 F-ZWTZ (“Z”). First flight on 30 March 1956. It was extensively tested by CEV pilots before it was withdrawn from flying status. This prototype had provisions to be flown from the ground without a pilot, although these trials were eventually never made. ·SO-9050.04 F-ZWUK (“K”). First flight early 1956. Was the first production model with a blunt nose with provision for a fire control radar. ·SO-9050.05 F-ZWUL (“L”). First flight not precisely known; most likely end 1957/early 1957. ·SO-9050.06 F-ZWUM (“M”). First flight on 30 January 1958. Was last Trident II flown! ·SO-9050.07 F-ZWUN (“”N”). Not flown. The potential of the Trident II was clearly shown when it set a new world altitude record of 24.300 m on 2 May 1958. Highest speed attained during the test program was around Mach 2. A more developed and even faster version, the Trident III was never built. 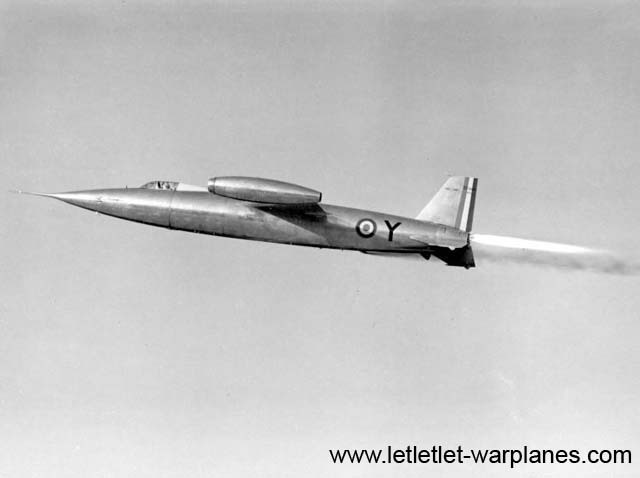 Also an all rocket surface-to-air guided anti-aircraft missile version of the Trident never was more than a project. 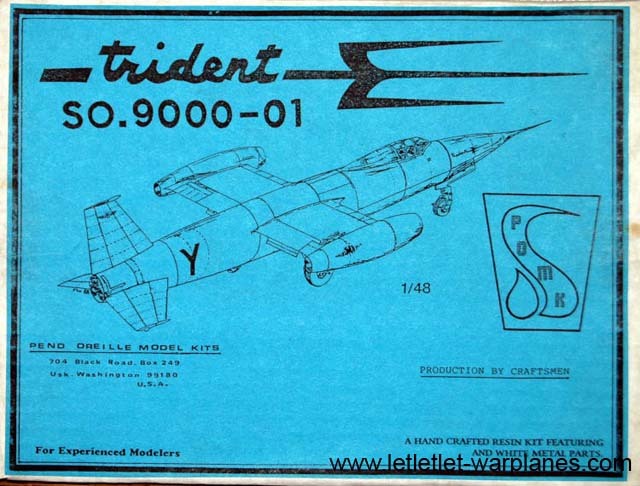 The French company Heller had in the sixties a small kit of the Trident I at 1/100 scale that can be better forgotten. Fit was poor and details only minimal and very coarse! Much better was the 1/50 scale model released by the same company. However, it must mow be regarded as a rare collector’s item! More common is the SO-9050.01 1/72 scale kit from the French company Mach 2, which is still available. It is a limited production injection moulded kit with decals included.